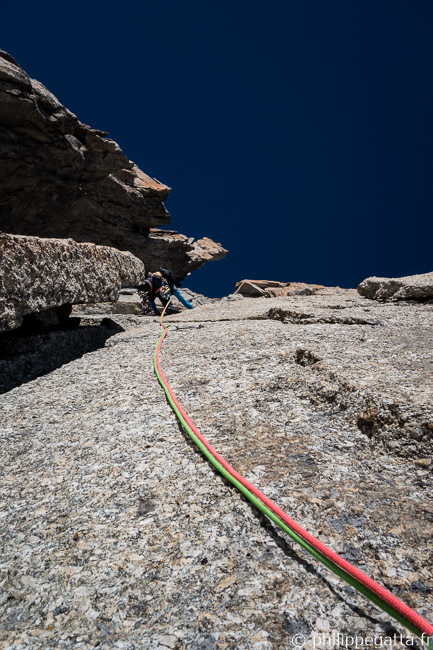 Just a week ago I was in Madagascar finishing the last stage of a 250 km race and today I spent an great day climbing in Mont Blanc Massif, so different and so fun! 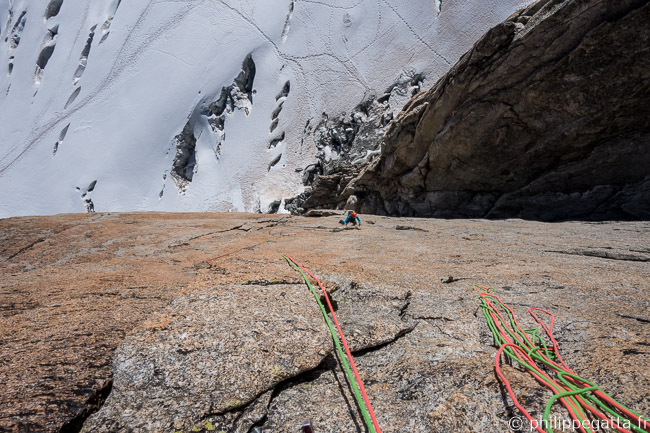 Pascal and I climbed Cache Cache in Pointe Adolphe Rey (3,535m), another fantastic route. 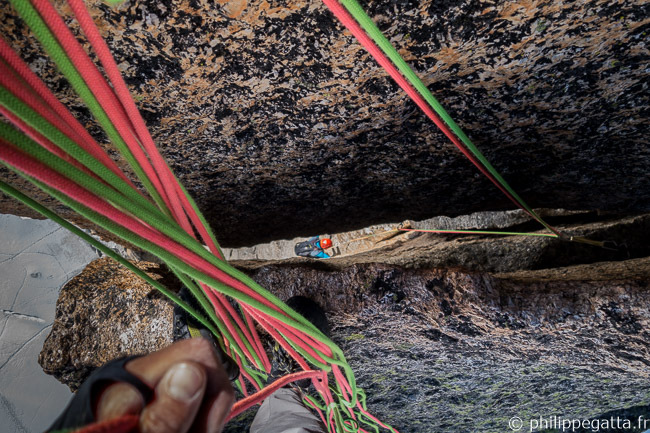 The route is 250m high and graded ED, 6c/7a depending on the topo. 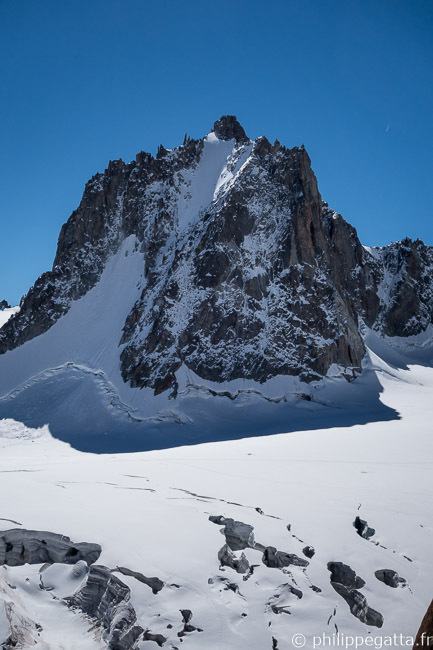 We took the first cable car from Aiguille du Midi and reached the bottom of Pointe Adolphe Rey in 45 minutes. Grades: 6a, 5c, 6c/6c+, 6c/7a, 6b+, 5c. There are bolts on slabs and for the anchors. On the photo below the 1st pitch seems longer because of the perspective but they are all about the same lengh. 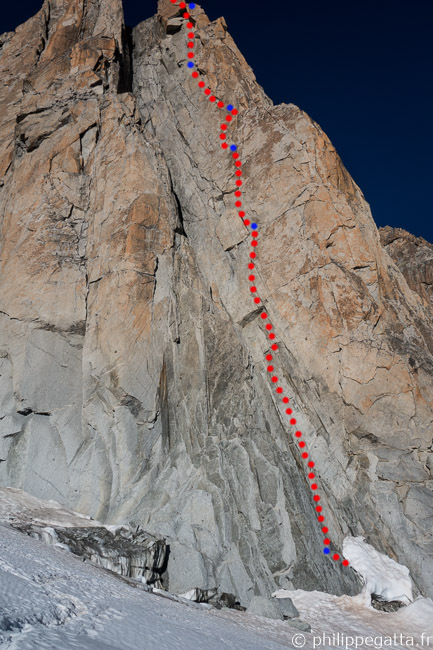 The 1st pitch starts in a couloir up to a bolt in the slab, climb the slab to small roof, pass it using the left crack. 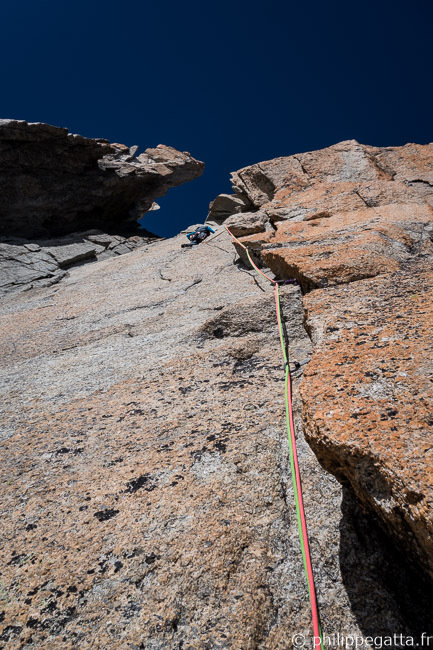 The 3rd pitch is 6c/6c+ and start with a amazing slab, then continues on a easier crack. 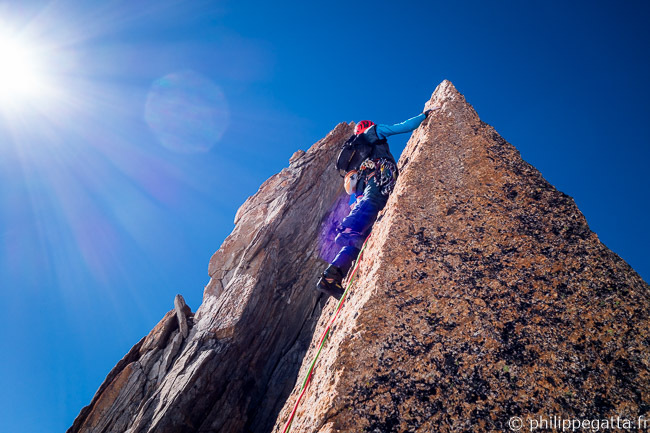 The 4th pitch is 6c/7a (Mt Blanc supercrack). Start along the left crack (don’t go straight up toward on old sling) and and then on a corner. T5e pitch follows a crack, then a corner and a large crack in the roof (see photo above). The final pitch is just amazing, it is a slab with big knobs. 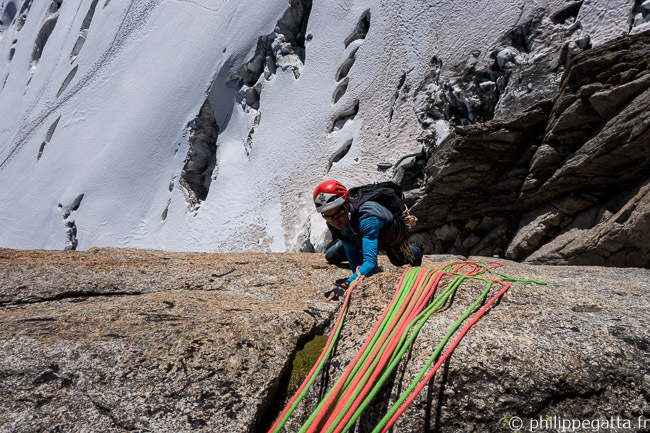 We climbed the route in 3h30, rappeled down in 1h30 and went back to Aiguille du Midi in 1h40. 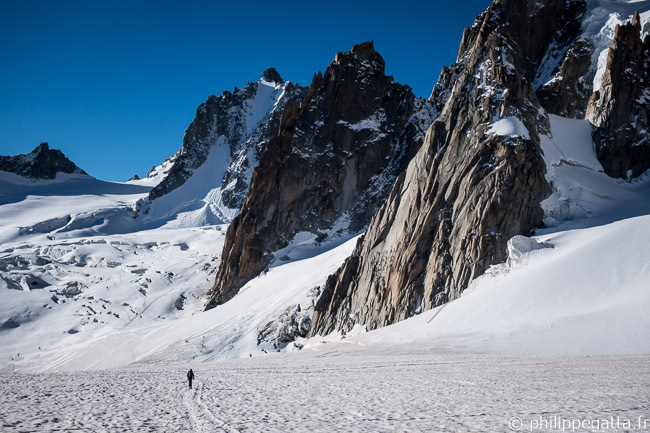 This entry was posted in Alpinism and tagged Cache Cache, Mont Blanc Massif, Pointe Adolphe Rey. Bookmark the permalink. Both comments and trackbacks are currently closed.